How is it over priced ? A coffee and a bacon and Sausage sarnine for £2 ? this may not be overpriced (still not the best priced) but everything else is ie 85p for a can of irn bru 3.50 for a mexican bandit baguette its overpriced. £2 for one and a cappo is a great deal. How else should it look? Errr. It might have been this price for a while but It hasn't been posted on here & it needed to be. 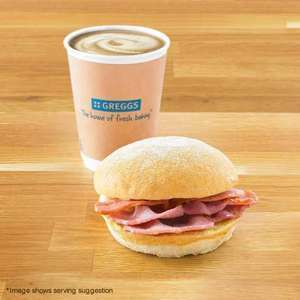 These days, where else can you get Bacon bap & freshly ground cappuccino for £2, its excellent. Many places will charge you over £2 for a latte or cappuccino alone! Thanks for all the supportive comments and heat! how much is a sausage and bean melt and a hot chocolate?